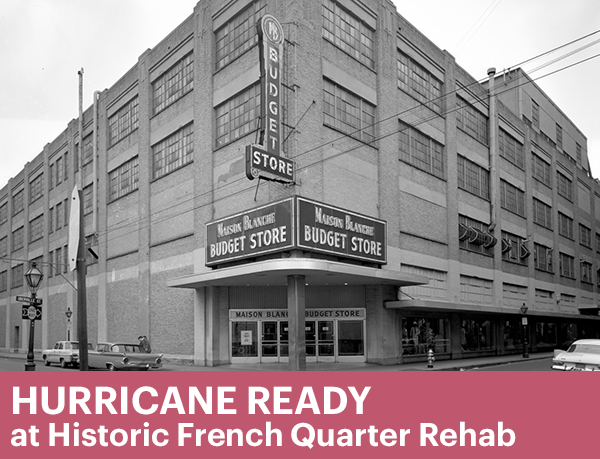 The elegant 1930's Maison Blanche department store was legendary fixture in New Orleans, and several attempts had been made to restore its architecturally stunning adjacent Annex Building, located just steps away from the French Quarter. One of the challenges was finding a manufacturer who could replicate the original windows according to the strict standards of the Vieux Carrè Commission architectural board. After several attempts to convince the review board that he could achieve the historic look needed for the project, Southern Walls and Window's Chris Clement decided to go big. He knew Winco's hurricane - resistant Steel Replica 3250 product was ideal, but sometimes, seeing is believing. On the eve of the review, he flew to Winco's St. Louis headquarters, picked up three windows, returned in rented truck to New Orleans and had them installed just hours before the review. When the architects and historic experts saw the installed windows from the street level, they knew they'd found a winner. 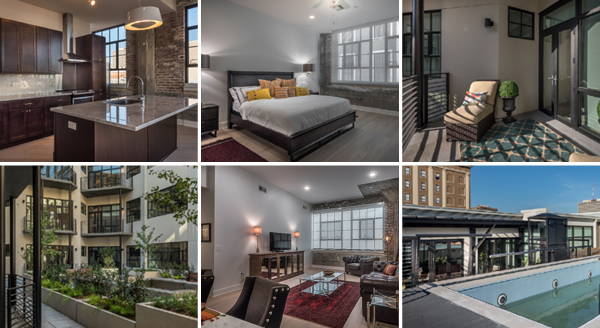 Today, the Maison Blanche Annex is breathing new life as market rate apartments at 939 Iberville. Residents enjoy living in one of New Orleans' most treasured historic buildings, complete with the natural light and comfort provided by the new hurricane resistant, insulated windows. The project is drawing attention from architects and developers in New Orleans. Says Clement "Until now, we didn't have a product that was affordable, yet could meet the exacting historic requirements of the French Quarter. We expect to use the 3250 in many of our historic renovation projects."